I hope you're enjoying the long, Labor Day weekend so far! It's been fairly gloomy in LA this morning -- perfect for staying in and having a nice, long, leisurely pancake breakfast with the family. I always take the time to make pancakes from scratch (it's super easy and is worlds better than the boxed mixes) because the kiddos love them and are always eager to help, aka make a mess! ;-) Whatever your plans this weekend, I hope you are having a great time and staying safe! 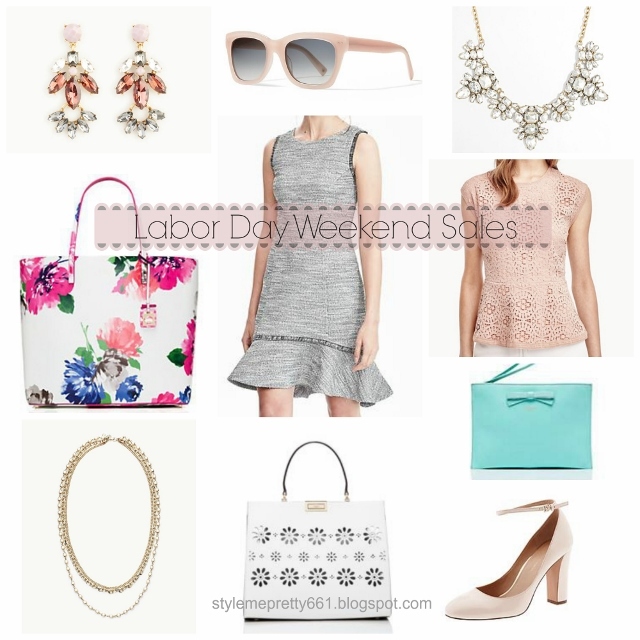 Have you been perusing the Labor Day Weekend sales yet? There are so many amazing sales to choose from, it can make your head spin! To make things a little easier for you, I've rounded up all of the best sales below, and let me tell you, some of them are too good to pass up! I've also included several of my favorite items by category: tops, bottoms/dresses, shoes, and accessories. Just scroll through the pictures below and tap on the ones you love! This blush lace peplum top is calling my name, and so are the Kate Spade bags! It's so hard to choose! Which ones are you eyeing? Let me know if you snag any of these or other goodies on sale this weekend! As always, thanks for reading, and have a great rest of the weekend!